Happy New Year! I hope the vacation was as activity-filled or relaxing as you had hoped. Also, thank you to those who managed to have the children back to class on January 3rd. Much appreciated by the faculty. I would like to welcome some new students; Austin Hedrick and Alessandro Fornara have joined Pre-K 4, Josias Tose comes to Kindergarten, and Elias Delienne and Kehinde and Taiwo Dayo-Oliade, enter Grade 1. I also would like to mention that the After School Activities (ASA) program begins Monday January 9. One other reminder, a late change in the WAIST dates means that Monday Jan. 16 IS a holiday, and Monday Feb. 20 IS NOT a holiday, though it was marked as such on earlier calendars. 2. Senegal Elections: As part of our contingency plans for the upcoming presidential elections, the Elementary School faculty will be preparing weekly academic plans from the end of January, so the children will have some work to continue with should the school close. There will also be enough information for students to work should the internet go down. We continue to monitor the situation in Dakar, and should plans alter, we will communicate this to you. 3. Pre-K 4 Changes 2012-13: With the new construction will come new space, and we are excited that we will be able to run two Pre-K morning sessions next year in parallel, both beginning at 8:25am. These will be run by Linda Bockarie and Melinda Watters. Linda you know, Melinda is the wife of Tony Watters our music teacher. 6. 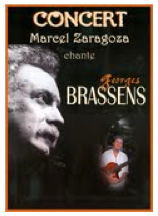 Marcel Zaragoza Visit: We are fortunate that the PTO has lined up two occasions when we can enjoy the songs and stories of Marcel Zaragoza. Tickets are available at the office for his January 21 performance at ISD starting at 7:00pm. He'll perform for the students on January 25 throughout the day. 8. Parent Survey: We will soon be sending an electronic link to the 2011-12 parent survey. This is an opportunity to give feedback, and we appreciate your participation. There will also be a short Gr 3-12 survey, and I will be meeting with all the elementary classes over the next week for 45 minutes in the Pagoda, to hear any questions, comments and concerns the children may have. More to follow.